The artist turns into his painting. 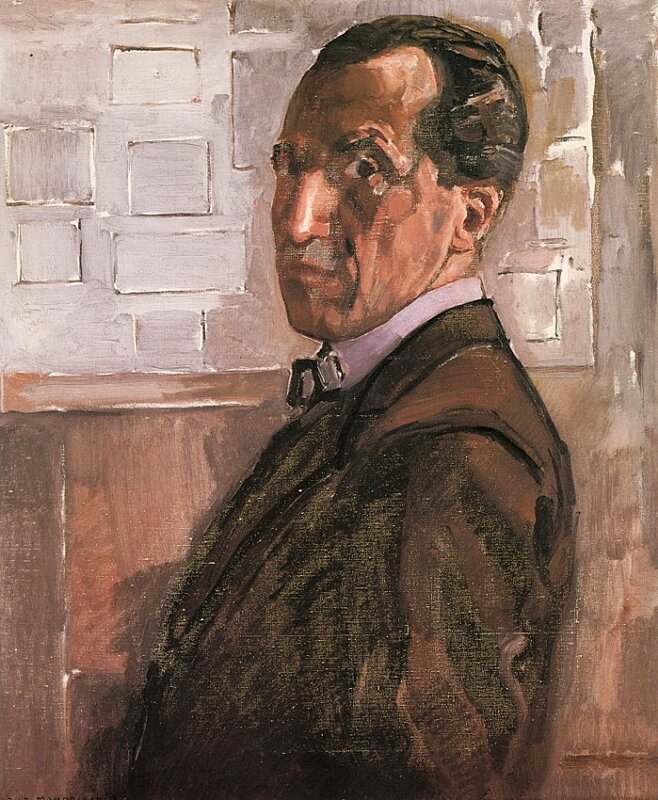 The first step is Piet Mondrian‘s first self-portrait, painted around 1900, and still quite traditional. 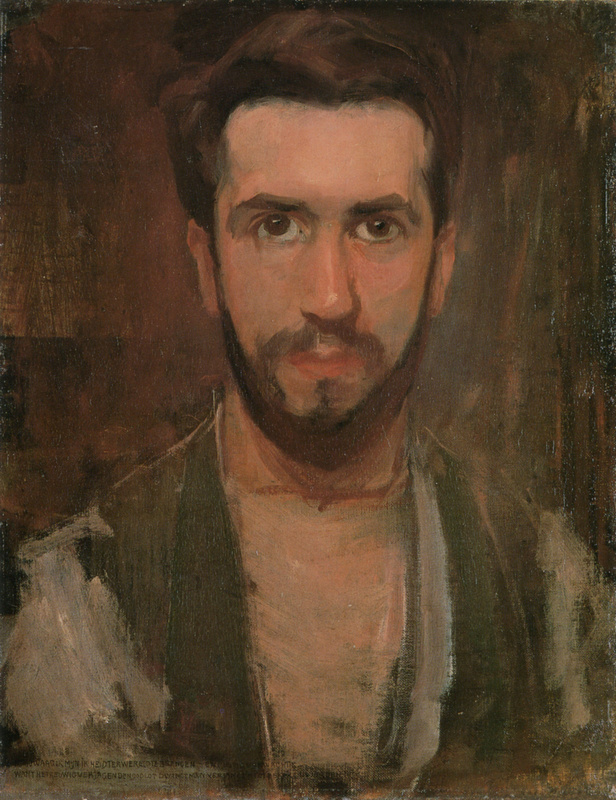 The second step is the Zelfportret from 1918. 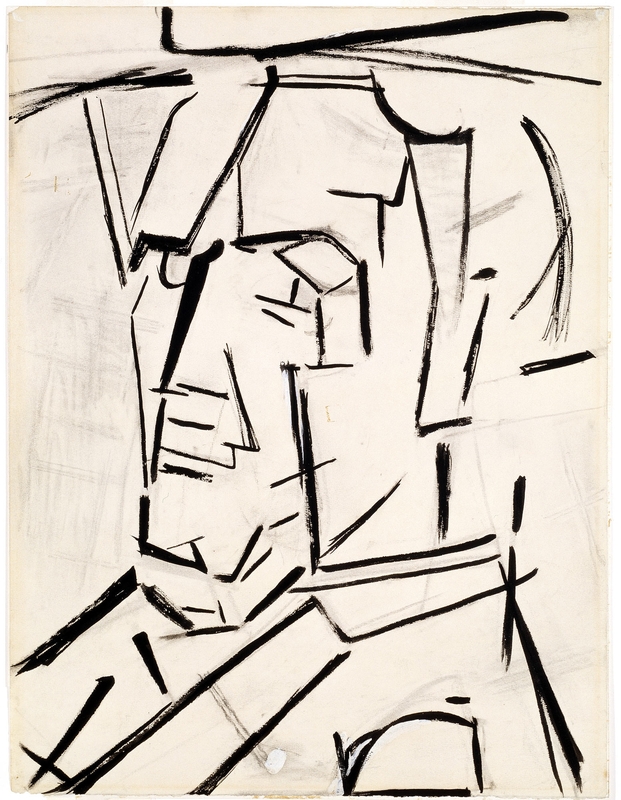 Here Mondrian is posing in front of a neo-plasticist painting in the style of the previous year, when the De Stijl movement and its journal were founded. Finally, in this ink, charcoal and gouache drawing (1942) the artist and his style have merged. Piet Mondrian has turned into his art.